Summer seems to have flown by and so many have already headed back to the classroom. 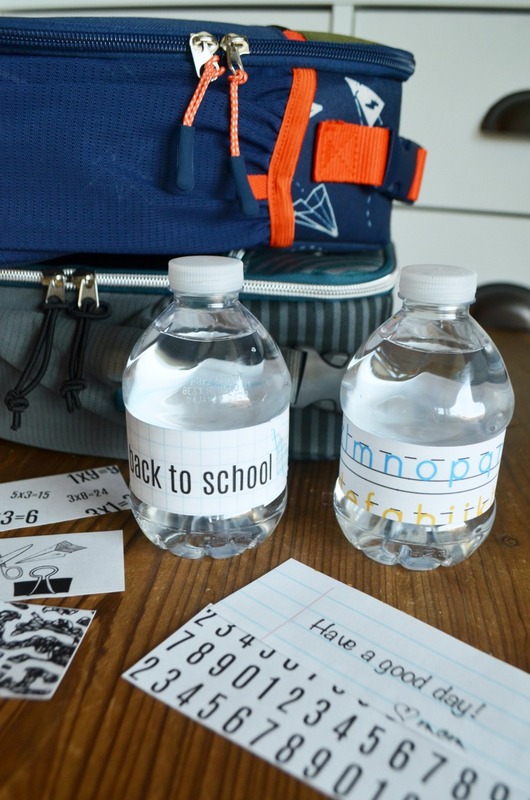 It’s HOT here in Arizona so I like to pack extra water for my kiddos to have at lunch. 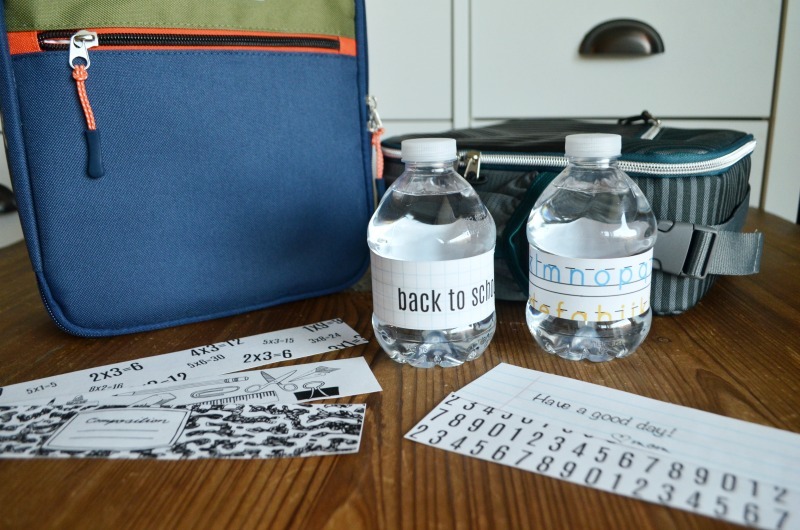 Keeping them hydrated and ready to learn throughout the day. 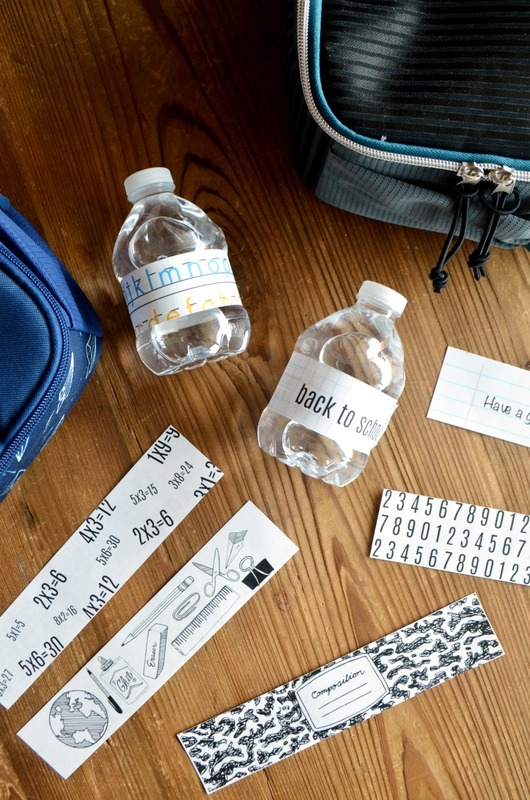 For a fun twist on lunchbox notes I decided to make some simple custom back to school water bottle labels. 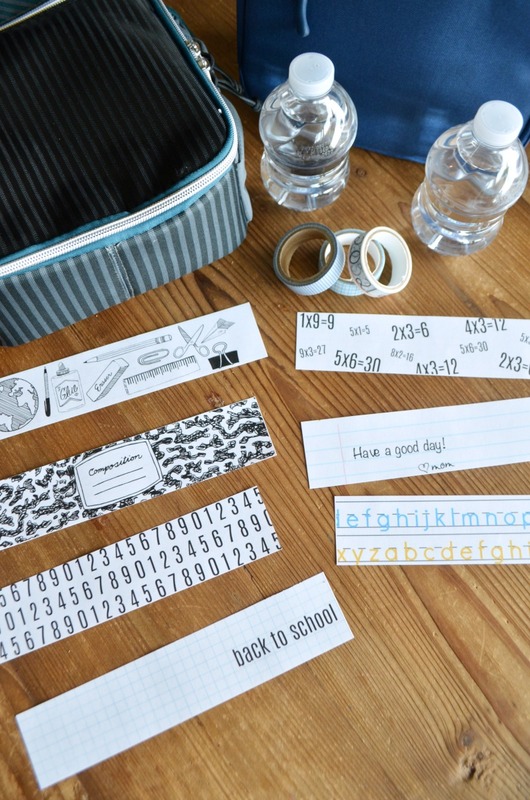 Simply print out the attached sheets and place right over the original label and secure with a little tape. I decided to leave the original label as a waterproof label so the chilled water bottle would make it to lunchtime still looking super cute. 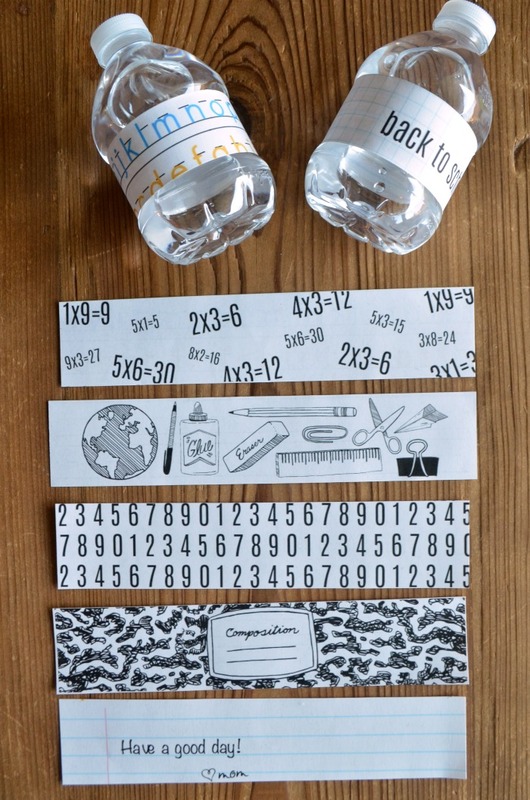 I went with simple black and white designs in classic schoolhouse prints and designs. You could even write in your own message before tucking it into their lunch. My kids LOVED this simple surprise in their lunch and it was an easy way to let them know I’m thinking of them and to send good wishes for a great first week. They loved them so much my oldest carefully removed and folded his wrap to bring home. And my youngest straight up saved the whole bottle so he could keep his special wrapper. Something simple like this is an easy way to send a little love while their at school. Test coming up? Wish them good luck with a handwritten note. Happy Birthday? Add a birthday wish and a custom doodle. My dad used to send me little notes (I’m sure I still have some saved somewhere). It meant so much, especially as a pick me up when I might be having a tough week. 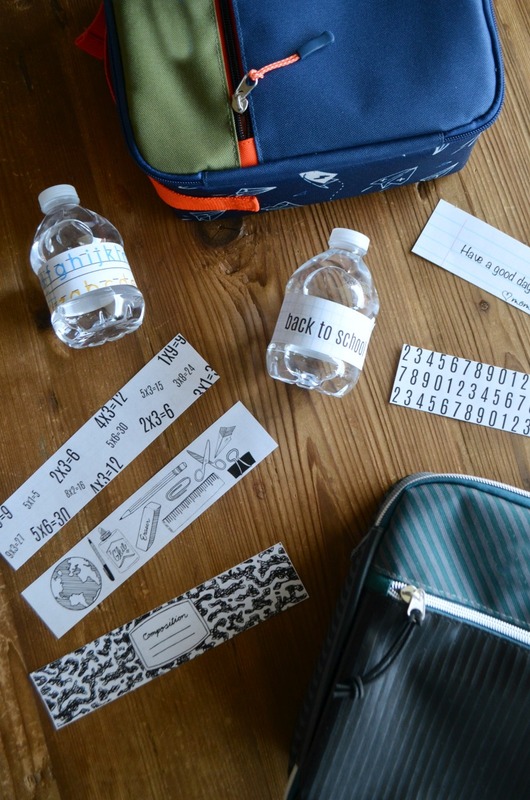 Print out your back to school water bottle labels here. Then simply cut, wrap, and secure. 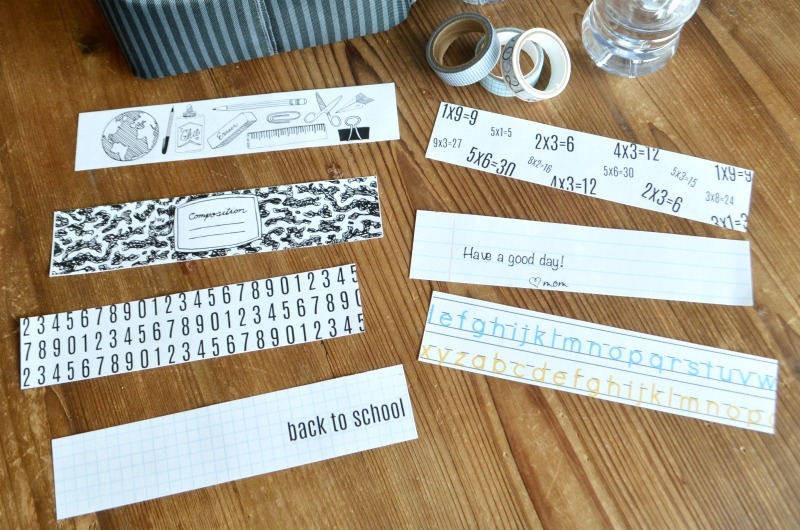 I had some school themed washi tape I used to hold my labels on. The labels will fit most standard size skinny bottles and mini bottles at 8.25″x1.75″.